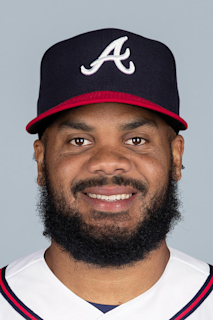 Kenley Jansen…married to Gianni...has a daughter, Natalia, and two sons, Kaden and Kyrian...resides in Curacao, Netherlands Antilles...wears the No. 74 because that is his house number in Curacao…traveled with the Dodgers to Taiwan in March 2010…played for Team Netherlands in the 2009, 2013 and 2017 World Baseball Classics...signed as a non-drafted free agent on Nov. 17, 2004…signed by scouts Camilo Pascual and Rolando Chirino. Earned a third consecutive All-Star selection after going 1-5 with 38 saves and a 3.01 ERA (24 ER/71.2 IP) in 69 relief appearances ... Struck out 82 batters against just 17 walks in 71.2 innings…held opposing hitters to a .201 average, while posting a 0.99 WHIP ... Ranked second in the NL with 38 saves, behind only the Rockies' Wade Davis…collected five four-plus out saves…also ranked among NL relievers in strikeout-to-walk ratio (4.82, 8th), strikeouts (9th) and WHIP (12th) ... Successfully converted 90.5 percent of his save opportunities, including a run of 21 consecutive save opportunities from April 22-July 4 ... Picked up the 250th save of his career on June 25 vs. the Cubs, becoming the 36th pitcher in MLB history to reach the milestone ... Tossed scoreless relief in seven of nine Postseason appearances, allowing two runs in 10.2 innings (1.69 ERA)…limited opposing hitters to a .114 batting average (4-for-35) with a 0.66 WHIP, while striking out nine ... Missed 10 games due to an irregular heartbeat (August 10-20)…underwent a heart ablation procedure on Nov. 26, 2018, performed by Dr. Koonlawee Nademanee in Los Angeles. Honored as the Trevor Hoffman NL Reliever of the Year for the second consecutive season and selected to his second straight All-Star game after going 5-0 with a 1.32 ERA (10 ER/68.1 IP) and 41 saves...recorded his third-career 40-plus save season (also: 2014, '16), joining Eric Gagné (2002-04) as the only pitchers in Dodger history with three seasons of 40 or more saves...Led Major League relievers in ERA (1.32), WHIP (0.75) and strikeout-to-walk ratio (15.57), while tied for the National League lead in saves (41, T-2nd ML)...also ranked among the NL relievers in strikeouts (109, 2nd), wins (5, T-10th) and strikeouts per nine innings (14.36, 2nd) • Limited hitters to a .17 7 (5th, NL)/.206 (1st, NL)/.270 (4th, NL) slashline, including holding right-handers to a .120 average (15-for- 125) and a .236 mark against lefties (29-for-123)...held batters to a .476 OPS, which was the third lowest in the National League...Held batters with runners in scoring position to a .136 average (8-for-59) and a .161 mark with runners on base...Named National League Reliever of the Month for the month of June...was perfect in save opportunities throughout the month, as he converted each of his 10 chances over 12 games in 14.0 innings, while striking out 18 against a lone walk...posted a scoreless innings streak of 17.0 innings (May 23-July 5)...Recorded the 200th save of his career after tossing a perfect ninth inning with a strikeout against the Reds on June 11...Began the season striking out 51 of 115 batters he faced without issuing a walk, which according to Elias Sports Bureau is the most strikeouts to open a season without a walk in big league history...Struck out the side on only nine pitches in the ninth inning on May 18 against the Marlins at Dodger Stadium, which was the 79th time in Major League history that an immaculate inning was recorded... became the first Dodger pitcher to throw an immaculate inning since Todd Worrell on Aug. 13, 1995...Recorded his first career extra-base hit and RBI on June 25 against the Rockies after stroking an RBI double in the eighth inning off of Greg Holland...Tossed scoreless relief in 10 of 13 postseason appearances and converted five of six save opportunities...three of the five saves were four-plus out saves...went 1-1 with a 1.62 ERA (3 ER/16.2 IP) and struck out 20 batters against just three walks, while limiting batters to a .138 average...since saves became an official stat in 1969, he is tied for fourth all-time on the career postseason saves list. Named the Trevor Hoffman NL Reliever of the Year and selected to his first-career All-Star Game, going 3-2 with 47 saves and a 1.83 ERA in 71 games...Tied with Zach Britton and Mark Melancon for second in the Majors with a career-high 47 saves, four behind Jeurys Familia...was 47 of 53 in save opportunities and was the only Dodger to record a save in 2016, marking the first time that's happened since the save became a statistic in 1969...Led the Majors in WHIP (0.67) and opponents' batting average (.150), while ranking among the National League's best relievers in ERA (1.83, 2nd) and strikeouts (104, 3rd)...walked only 11 batters in 68.2 innings and owned the best strikeout-to-walk ratio in the National League (9.45)• On June 21 vs. Washington, established new Dodger franchise marks in saves, finishing the year with 189 after surpassing Eric Gagné (161)…also set the franchise record for strikeouts as a reliever (632), eclipsing Jim Brewer's mark of 604• Tossed scoreless relief in six of seven postseason appearances and successfully converted all three save opportunities in the NLDS and NLCS...five of seven outings were more than 1.0 inning, while his 3.0 innings in NLCS Game 6 at Chicago were a career high...also established a career high with 51 pitches thrown in 2.1 innings in NLDS Game 5 at Washington. Was successful on 36 of 38 save opportunities (94.7%), while going 2-1 with a 2.41 ERA in 54 games in his sixth MLB season. ... In the postseason, picked up two saves in as many opportunities and struck out four in 3.1 scoreless innings in three NLDS games against the Mets. ... Ranked seventh in the NL in saves and third in save percentage…reached the 30-save mark for the second time in his career…became just the third Dodger reliever to post consecutive 30-save seasons (also: Todd Worrell, 1995-97 and Eric Gagne, 2002-04). ... Led MLB relievers with a 0.78 WHIP and ranked third among NL relievers with a .176 opponents' batting average. ... Struck out 80 against just eight walks, leading NL relievers with a 10.00 strikeout-to-walk ratio. ... Closed the season by tossing scoreless relief in 17 of his last 19 regular-season games after Aug 25, going a perfect 12-for-12 in save opportunities and posting a 1.93 ERA (4 ER/18.2 IP) in that span. ... Made his 2015 debut on May 15 vs. Colorado and struck out four in a scoreless eighth inning (Carlos Gonzalez reached on a passed ball), as he recorded just the sixth four-strikeout inning by a pitcher in Dodger history…did not allow a baserunner in his first five appearances of the season (5.0 IP), May 15-25. ... Missed first 34 games of the season due to Feb. 17 surgery to remove a growth from a bone in his left fifth metatarsal. winning run on base and allowed a game-winning single to Carlos Beltran in the 13th inning of Game 1 of the NLCS at St. Louis in the Dodgers' 3-2 loss. Set career highs in appearances (65), innings (65.0), wins (5), saves (25) and strikeouts (99) in his third big league season. Ranked among the NL relief leaders in wins (T-10th), saves (T-10th), strikeouts (3rd), ERA (2.35, 8th), opponents' batting average (.146, 3rd) and WHIP (0.85, 3rd). Successfully converted 25 of 32 save opportunities after taking over as the club's full-time closer in MayRecorded saves over three consecutive days twice in 2012, doing so from July 3-5 and also June 4-6. Limited first batters to a .158 batting average (9-for-57) with 32 strikeouts. Allowed four of 12 inherited runners to score. Held opposing hitters to a .146 batting average, equally keeping right-handers (.145, 16-for-110) and left-handers (.147, 17-for-116) in check. Limited opponents to a .211 average with runners in scoring position (8-for-38) and to a .181 mark with runners on base (13-for-72). Did not allow a hit over 9.0 scoreless innings in nine appearances from June 15-July 13...walked two, struck out 14 and went a perfect 6-for-6 in save opportunities in that span...had two other runs of 8.0 or more of consecutive scoreless innings, doing so from April 15-29 (8.2 IP, 9 G) and July 17-Aug. 4 (8.1 IP, 8 G). Did not appear in a game between Aug. 28-Sept. 19 after suffering an irregular heartbeat during his Aug. 27 appearance at Colorado. Had ablation heart surgery on Oct. 23 performed by Dr. Koonwalee Nademanee at White Memorial Hospital. Finished the season 1-0 with a 0.67 ERA (2 ER/27.0 IP) and four saves in 25 games...his ERA wasthe fourth lowest by a rookie with a minimum of 25.0 innings in Major League history ... Recalled on July 23 from Double-A Chattanooga, where he was 4-0 with eight saves and a 1.67ERA (5 ER/27.0 IP) in 22 games as the closer ... began the season with Single-A Inland Empire andappeared in 11 games for the 66ers ... earned the save in the Double-A All-Star Game on July 12 ... With Los Angeles, struck out 41 and walked just 15 in his 27.0 innings ... Averaged 13.7 strikeouts per nine innings which ranked third in the Major Leagues among pitcherswith at least 20.0 innings pitched ... Despite pitching in just 25 games, his 41 K's tied forninth among all rookie relievers ... Limited hitters to a .130 batting average (12-for-92)with just three extra-base hits (all doubles) ... righthandershit .064 (3-for-48) against him and lefties.205 (9-for-44) ... Batters were just 4-for-40 (.100) off him during theday ... No. 3 batters were 1-for-13 against him and cleanuphitters 1-for-10 ... The opposition hit .071 (3-for-42) with runners on baseand .091 (2-for-22) with runners in scoring position ... batters were 1-for-12 (.083) with RISP and two outs ... Faced 109 batters and retired 80 of them ... Allowed just one run at home over 12 appearances (13.0 IP) ... his ERA on the road was even betterat 0.64 (1 ER/14.0 IP) ... Had three saves in three opportunities and did not allow a single run against the National LeagueWest this season over 14.1 innings (13 games) ... Made his big league debut on July 24 and tossed a perfect inning ... struck out the Mets' Angel Paganand David Wright for the first two outs of his career ... Earned four saves on the season, including July 25 vs. NYM, which was his second Major Leaguegame ... the other saves came on Sept. 24, Sept. 28 and Oct. 2 ... Struck out a career-high four batters over 2.0 innings on Aug. 26 at Milwaukee ... Picked up his first and only Major League victory on Sept. 11 at HOU, firing a perfect eighth inning ... Tossed a season-high 2.0 innings on four separate occasions (8/20, 8/26, 8/29, 9/29) ... each time he threw 2.0 scorelessframes ... Was the Dodgers' Farmers Insurance September Player of the Month after giving up just one run and four hits in 10 games duringthe month (11.0 IP) ... Closed out the season by tossing 12.1 straight scoreless innings ... Named to Baseball America's second team as a relief pitcher in their season-ending minor league awards issue. Opened the season with Rookie-level Gulf Coast League, batting .304 (31-for-102) with one home run and 18 RBI in 34 games before being promoted to Rookie-advanced Ogden on August 26...Went 2-for-11 (.182) with an RBI in three games with Ogden to close the season. August 20, 2018 Los Angeles Dodgers activated RHP Kenley Jansen. August 10, 2018 Los Angeles Dodgers placed RHP Kenley Jansen on the 10-day disabled list. Irregular heartbeat. January 10, 2017 Los Angeles Dodgers signed free agent RHP Kenley Jansen. January 10, 2017 Los Angeles Dodgers placed RHP Kenley Jansen on the 10-day disabled list. Irregular heartbeat. November 3, 2016 RHP Kenley Jansen elected free agency. May 15, 2015 Los Angeles Dodgers activated RHP Kenley Jansen from the 15-day disabled list. May 1, 2015 Los Angeles Dodgers sent RHP Kenley Jansen on a rehab assignment to Rancho Cucamonga Quakes. April 5, 2015 Los Angeles Dodgers placed RHP Kenley Jansen on the 15-day disabled list retroactive to March 27, 2015. Fifth metatarsal injury. August 25, 2011 Los Angeles Dodgers activated RHP Kenley Jansen from the 15-day disabled list. August 21, 2011 sent RHP Kenley Jansen on a rehab assignment to Rancho Cucamonga Quakes. July 29, 2011 Los Angeles Dodgers placed RHP Kenley Jansen on the 15-day disabled list retroactive to July 27, 2011. Cardiac arrhythmia. June 18, 2011 Los Angeles Dodgers activated RHP Kenley Jansen from the 15-day disabled list. June 9, 2011 sent RHP Kenley Jansen on a rehab assignment to Chattanooga Lookouts. May 29, 2011 Los Angeles Dodgers placed RHP Kenley Jansen on the 15-day disabled list. Right shoulder inflammation. May 6, 2011 Los Angeles Dodgers recalled Kenley Jansen from Chattanooga Lookouts. May 1, 2011 Los Angeles Dodgers optioned Kenley Jansen to Chattanooga Lookouts. July 23, 2010 Los Angeles Dodgers recalled Kenley Jansen from Chattanooga Lookouts. July 23, 2010 Los Angeles Dodgers selected the contract of Kenley Jansen from Chattanooga Lookouts. July 23, 2010 Kenley Jansen roster status changed by Los Angeles Dodgers. July 22, 2010 Kenley Jansen roster status changed by Chattanooga Lookouts. May 15, 2010 Kenley Jansen assigned to Chattanooga Lookouts from Inland Empire 66ers. March 28, 2010 Kenley Jansen assigned to Inland Empire 66ers from Albuquerque Isotopes. March 15, 2010 Los Angeles Dodgers optioned Kenley Jansen to Albuquerque Isotopes. November 18, 2009 Los Angeles Dodgers selected the contract of Kenley Jansen from Inland Empire 66ers. November 2, 2009 RHP Kenley Jansen assigned to Scottsdale Scorpions. July 30, 2009 Kenley Jansen roster status changed by Inland Empire 66ers. July 3, 2009 C Kenley Jansen assigned to Inland Empire 66ers from Albuquerque Isotopes. June 7, 2009 Albuquerque Isotopes recalled Kenley Jansen from Ogden Raptors. June 2, 2009 Kenley Jansen assigned to Ogden Raptors from Albuquerque Isotopes. May 29, 2009 Kenley Jansen assigned to Albuquerque Isotopes from Inland Empire 66ers.